All main and secondary roads. 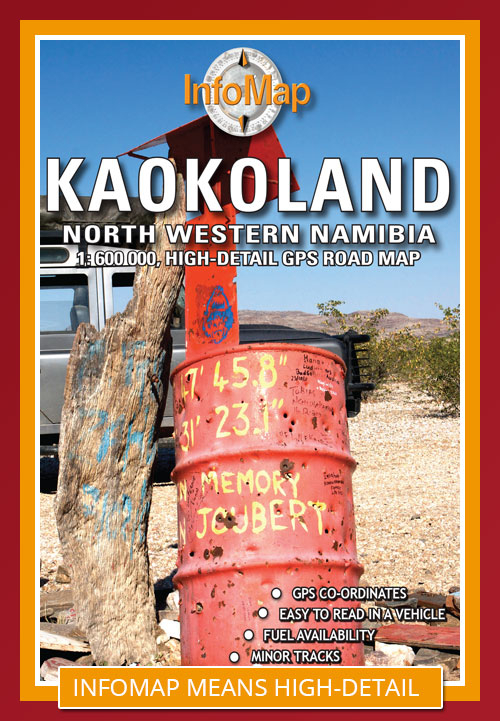 This 3rd edition has been completely re-designed and updated making a visit to this tiny, yet exciting country, so much easier. Ruled by Africa’s last absolute monarch, King Mswati III, Swaziland is an often over-looked Southern African travel destination. Laid back, safe, with much of its traditional Swazi culture intact, Swaziland offers a different kind of holiday experience. At around 17 000 square kilometres in size Swaziland is a landlocked country bordered by South Africa and Mozambique. 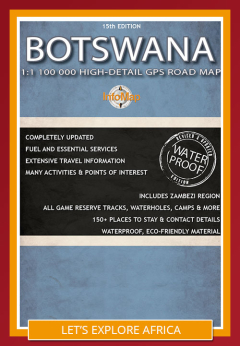 Geographically the country is composed of savannah, hills and mountains with many rivers such as the Komati, Lomati and Umbuluzi. 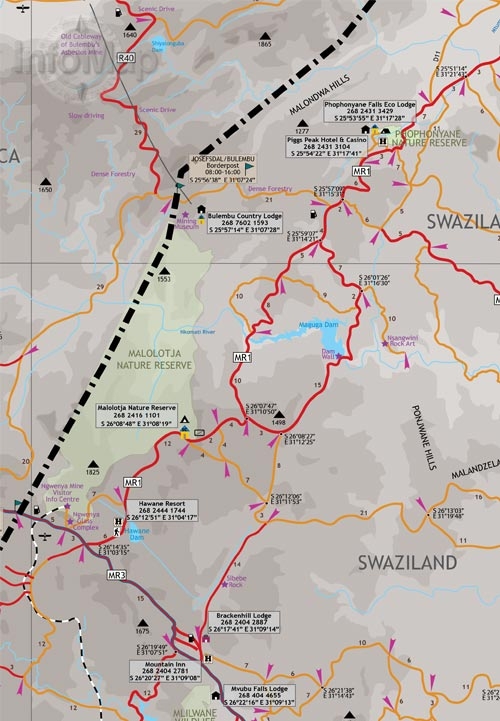 Despite its size Swaziland boasts 17 protected areas or wildlife sanctuaries such as Mlilwane and Hlane and Mkhaya reserves that offer safari’s, accommodation options and a wide range of fauna. 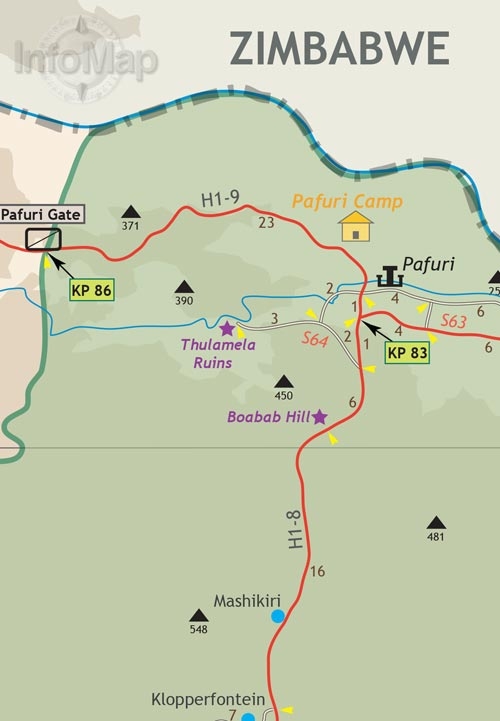 Wildlife include rhino, elephant, lion, leopard, kudu, buffalo and many more. 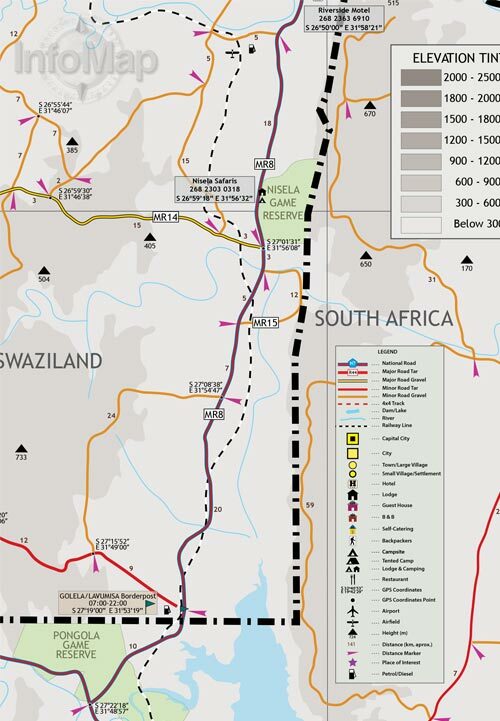 Tourist activities include hiking trails, white water rafting and cultural villages, while points of interest worth visiting include Sibebe rock (the largest exposed granite rock in the world), Swazi Candle craft market, the Royal residencies and the Umhlanga Reed Dance. 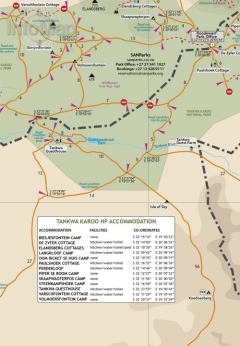 This last event is one of the most memorable cultural events held at the end of August, in which thousands of young women from all over the country take part. 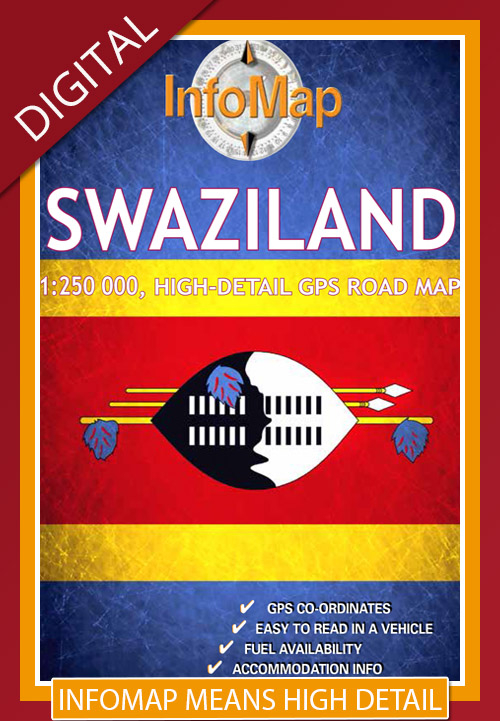 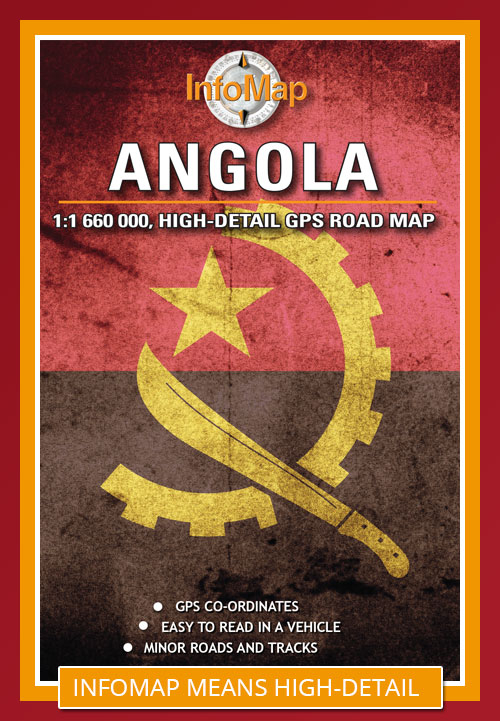 So whether you are flying to Mbabane or crossing the border by car, our Swaziland map will be of much use. 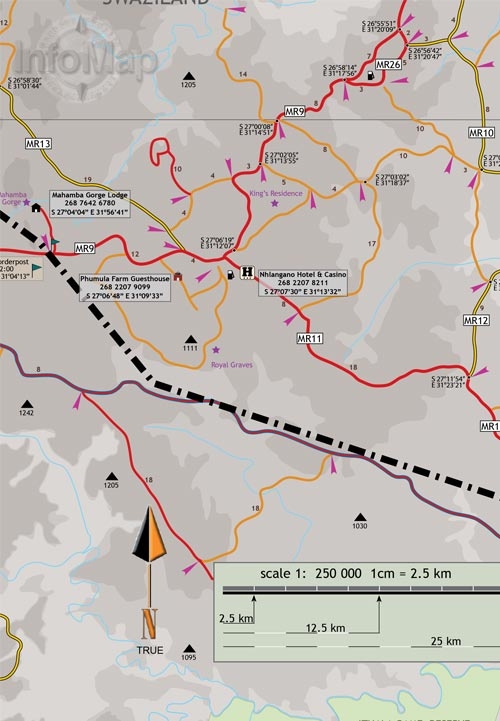 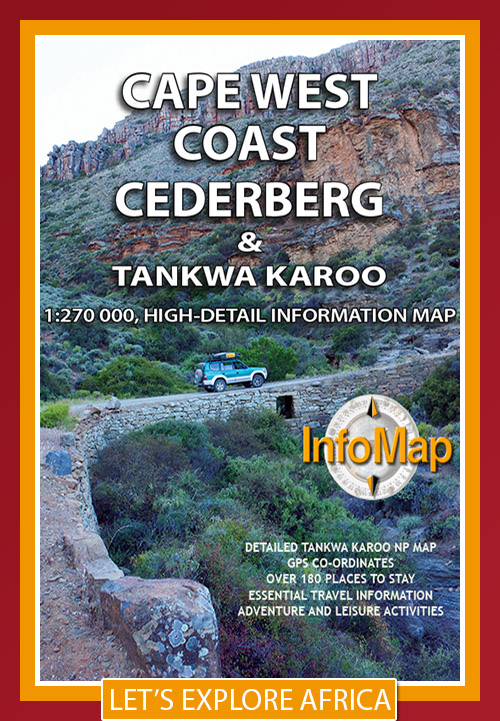 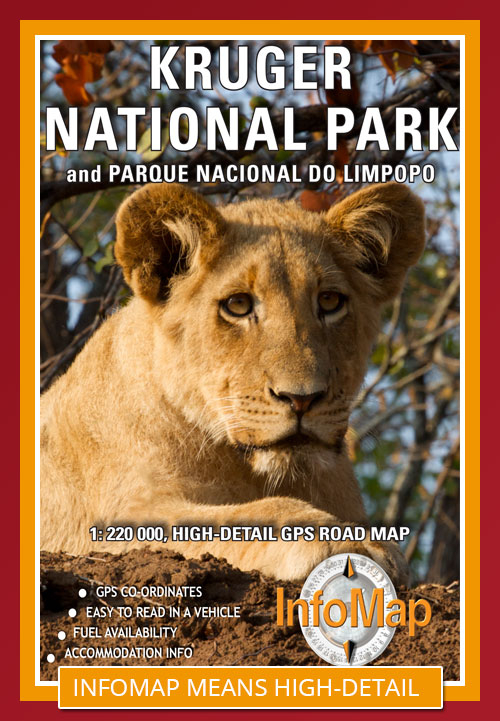 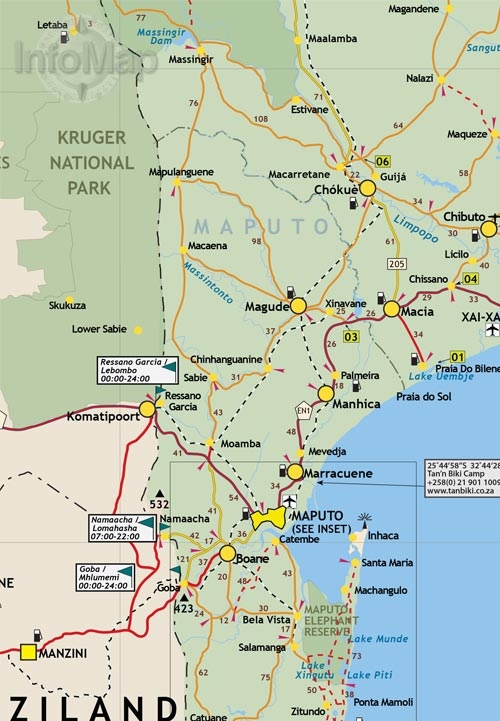 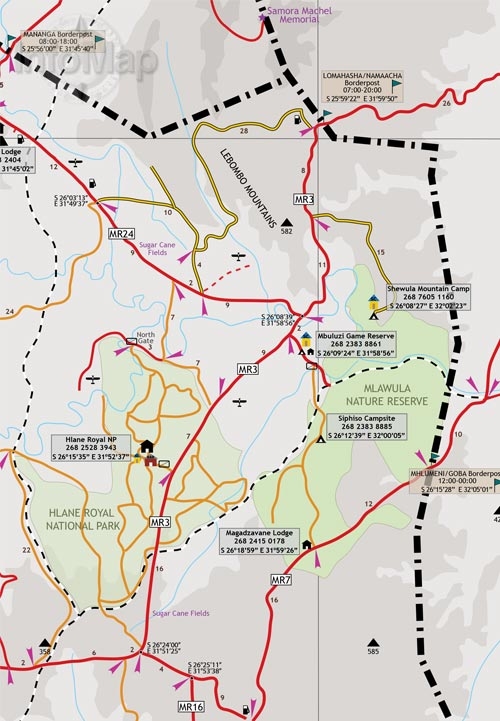 With detailed road information, GPS coordinates, points of interest, border posts, accommodation information as well as booking information for the national parks this is the map to take with on your next Swazi holiday.